Today, I heard Dr Jane Goodall speak at Business Chicks and I was completely blown away by her story. Her Hope she has for the future, Her love for our earth, animals and humanity. The difference she is making in countries. Small steps that create giant movement in communities. Her passion and drive she still has is remarkable and infectious. 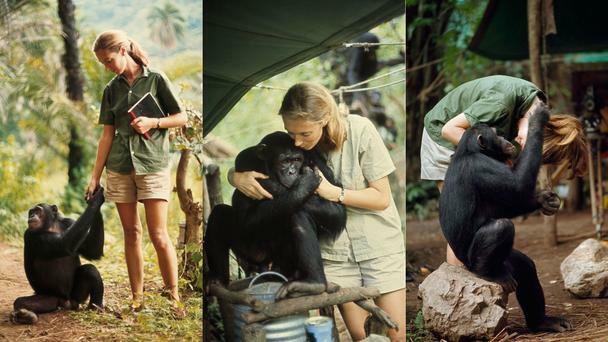 I wanted to share her story with you and why I feel we can all be inspired by women from all walks of life…so let’s start with some science and meet Dr Jane Goodall. During WW2, a young bright-eyed Jane saved up her pennies and went to her favourite second-hand bookstore. Little did she realise the book she bought was about to open her mind and change her life forever. That book was Tarzan and it became her favourite book of all time, even if she believe Tarzan chose the wrong Jane! In the summer of 1960, 26-year-old Jane Goodall arrived on the shore of Lake Tanganyika in East Africa to study the area’s wild chimpanzee population. Although at the time it was unheard of for a woman to venture into the African wilderness, Jane persisted as the trip meant the fulfilment of her childhood dream. She was about to live her favourite book out in reality. Jane’s work in Tanzania would prove to be more successful than anyone could have possibly imagined. At first, the chimpanzees at Gombe Stream National Park fled whenever they noticed Jane. Then gradually they allowed her to come closer and closer. She watched their habits, their feeding, travelling solo or in groups and even stripping leaves off twigs in order to make tools for fishing termites from a nest. That was her groundbreaking discovery for science, as until that moment scientists thought that only humans were capable of making and using tools. This discovery leads to one of Jane’s many accolades “the woman who redefined man”. And boy she sure did! 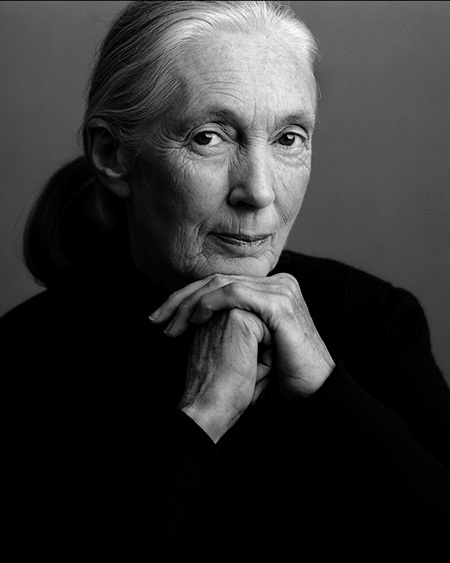 In 1965, Jane was awarded her PhD in Ethology from Cambridge University. Shortly afterwards she returned to Tanzania to continue her research and establish Gombe Stream Research Centre. In 1977, Dr Goodall realised that to best help her beloved chimpanzees, she would have to leave the forest. 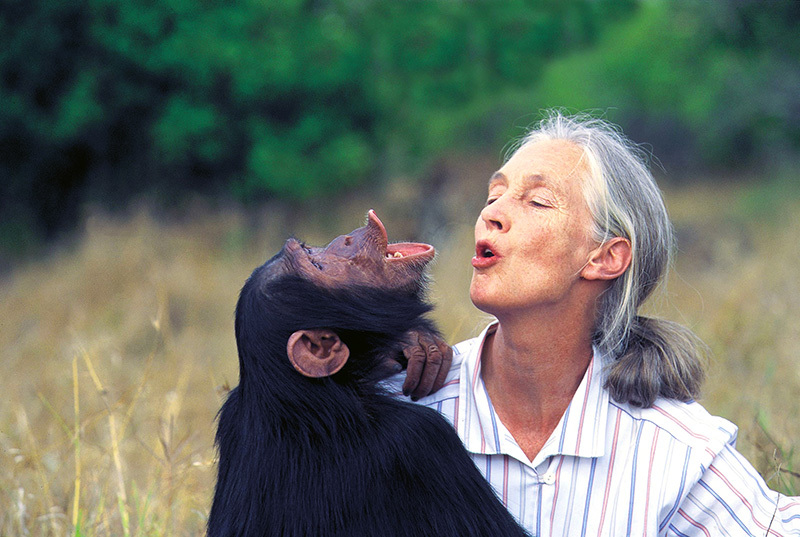 She founded The Jane Goodall Institute to provide ongoing support for field research on wild chimpanzees and fight to protect the habitat in which they live. 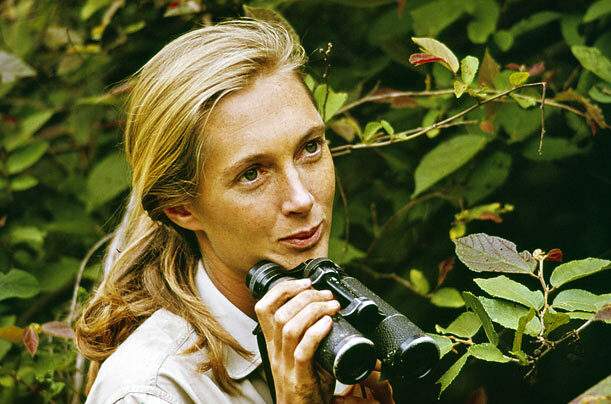 Today, there are JGI chapters in 35 countries around the world all working to support Dr Goodall’s vision and legacy. 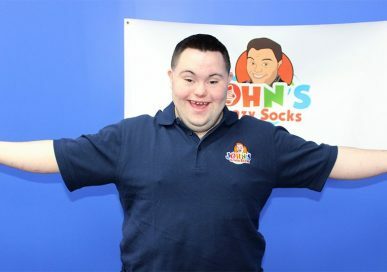 At JGIA, their pursue is to “inspire actions that connect people with animals and our shared environment”. JGI is widely recognised for establishing innovative community-centered conservation and development programs in Africa and the Roots & Shoots education program in nearly 100 countries. The Gandhi/King Award for Nonviolence. In April 2002, Secretary-General Annan named Dr Goodall a United Nations “Messenger of Peace.” Messengers help mobilise the public to become involved in work that makes the world a better place. They advocate in a variety of areas: poverty eradication, human rights, peace and conflict resolution, HIV/AIDS, disarmament, community development and environmentalism. In 2003, Queen Elizabeth II named Dr Goodall a Dame of the British Empire, the equivalent of a knighthood. 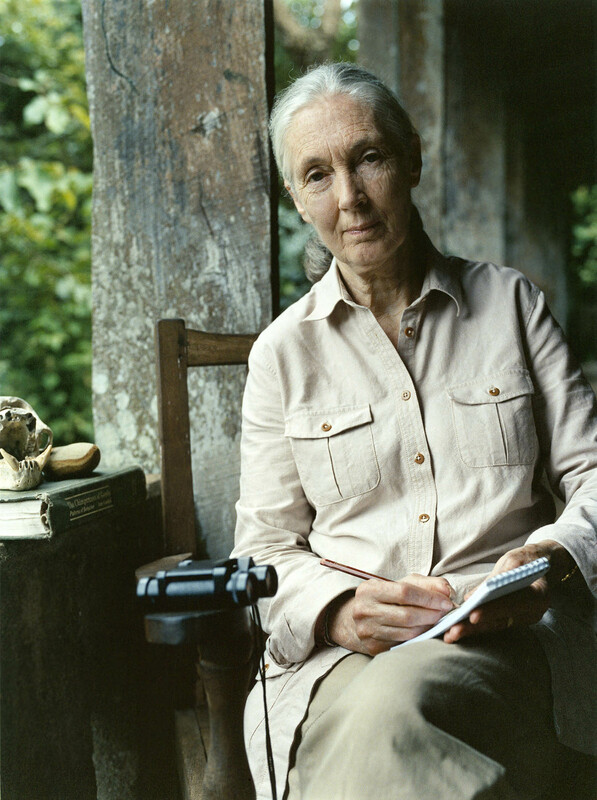 Dr Goodall has received honorary doctorates from numerous universities, including… Utrecht University, Holland; Ludwig-Maximilians University, Munich; Stirling University, Scotland; Providence University, Taiwan; University of Guelph and Ryerson University in Canada; Buffalo University, Tufts University and others. 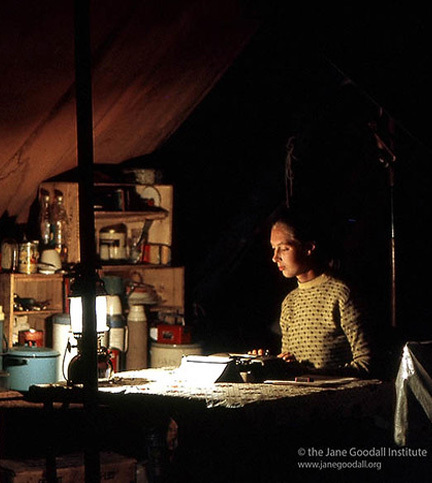 Dr Goodall has written many books including two overviews of her work at Gombe—In the Shadow of Man and Through a Window; two autobiographies in letters; and books based on her spirit of hope, Reasons for Hope, Hope for Animals and their World and Harvest for Hope. 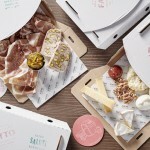 She doesn’t only cater for adults. She’s written children’s books include Grub: the Bush Baby, Chimpanzees I Love: Saving Their World and Ours and My Life with the Chimpanzees. Not to mention the numerous Television documentaries. Today, Dr Goodall spends much of her time lecturing, sharing her message of hope for the future and encouraging young people to make a difference in their world. As you can see her work and accolades speak for themselves. 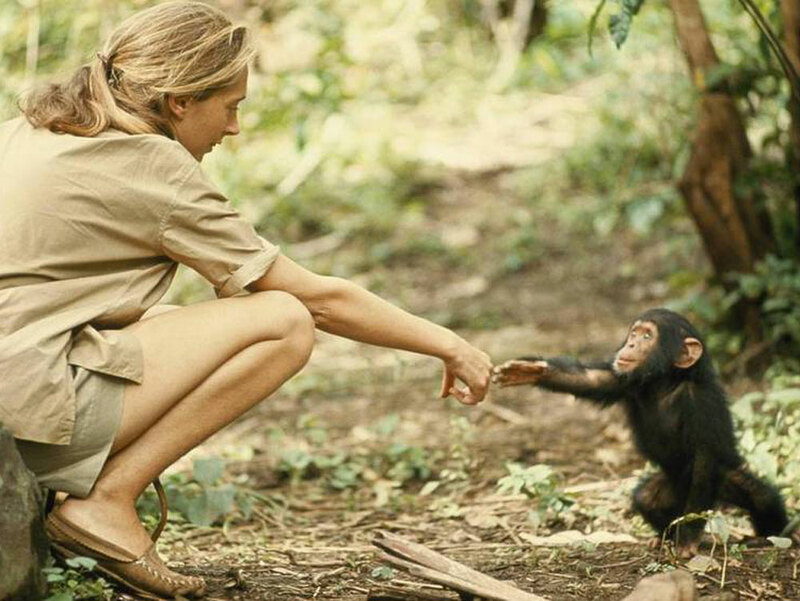 Dr Jane Goodall is a pioneer of her time. Women of her time did not go to the jungle, did not become a scientist, she opens the way for other women to live their dream. As Dr Goodall spoke today we were all in awe of her. Her storytelling was like we were there taking each step with her. 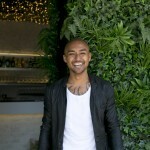 She truly inspired the room at Grand Hyatt Melbourne. I’m so thankful I was able to have breakfast with her. 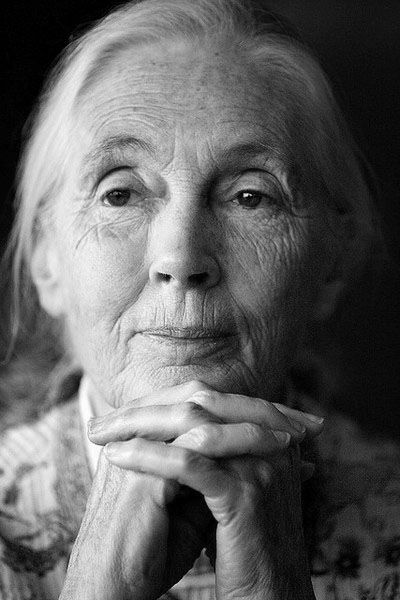 For anyone interesting in learning more about Dr Jane Goodall’s work and how you can help/donate/volunteer… head over to her website HERE.